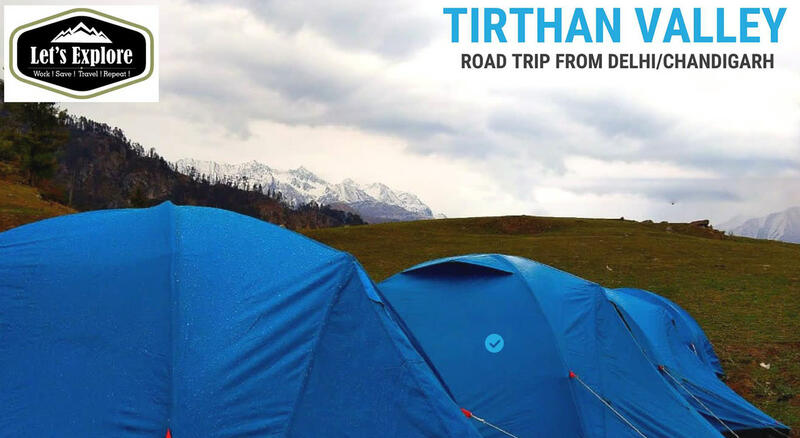 This is going to be a truly amazing Road Journey starting from Delhi/Chandigarh to Tirthan Valley & Back. There is a lot of fun planned throughout the journey & also plenty of surprises are waiting for you in the valley which is still untouched. You will cover up Prashar Lake, an 18th-century fort in Tirthan Valley, Trek to Serolsar lake, Jalori Pass, Night Jungle trek, Live Music, Dare Tasks & a lot more. Departure from Delhi on 27th September at 11:00 PM from ISBT. Arrival in Chandigarh on 28th September at 4:00 AM in Chandigarh & pickup fellow travelers from ISBT Chandigarh. Arrival at Prashar Lake by 11:00 AM. Take a halt & enjoy the mesmerizing view of Prashar. We will begin Onward journey to Village Panarsa(Kullu Distt) & arrival at the campsite by 6 PM. Freshen up yourself & get ready for Hot Tea & Snacks by 7 PM. Early Morning departure from Village Panarsa to Tirthan Valley at 6:00 AM. Breakfast will be provided en-route to Tirthan Valley. Reach out Jalori Pass & take some time for photo-shoot sessions. Trek for Serolsar Lake will start at 12:30 PM & arrival at Campsite by 5:00 PM. Eve Tea, Snacks & Dinner will be served at Camp Site. Enjoy the best night of your life under millions of stars that can be seen by your naked eyes. Checkout from the campsite at 7:00 AM & start return journey to Delhi/Chandigarh. Q1. What are the security measures taken by the management ? A1. Security personals will be traveling along with the group(Male & Female). Certified Mountaineers will be leading the trek group, who are well experienced to handle groups under all kind of conditions & circumstances. Q2. Will there be any Medical Assistance ? A2. Yes, we will be providing medical assistance as First-Aid Team will be traveling with us & will also be available 24*7 at Camp Site. Q3. What will be the meal plan & how many meals are included in the package ? A3. Day 1: Eve Tea & Snacks + Dinner ; Day 2: All Meals ; Day 3 : Breakfast. Meals on Day 1 will be both Veg & Non-Veg. Meals on Day 2 will be Veg only.